I'm currently keeping and attempting to breed some freshwater fish, progress not too bad so far. Look forward to chatting with all of you! I just moved recently, so not a lot going on unfortunately. While I'm still finding my rhythm I decided to stick to some basic stuff. Mostly breeding setups, with some livebearers, cichlids, and catfish. 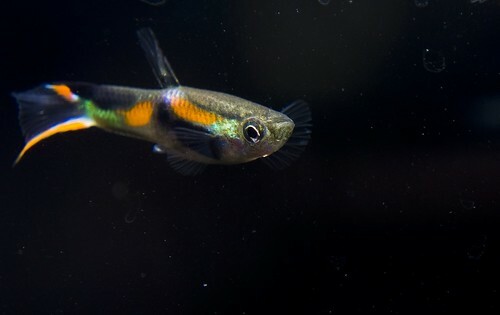 I can recognise the endler and molly, but what species is the egg guarding cichlid? 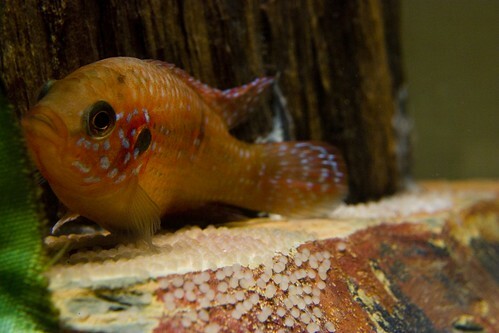 That's a Jewel Cichlid, Hemichromis bimaculatus. Though that particular batch of eggs are currently nearly 3 week old fry! You have gorgeous fish and take great photos too. Good to have you with us. 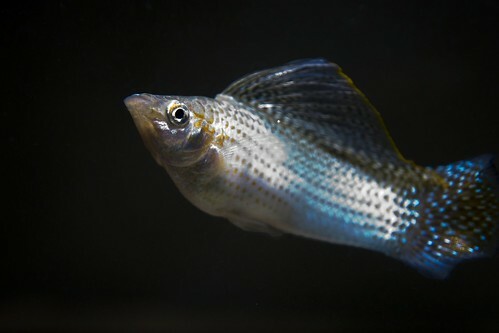 Please tell us a bit more about yourself and your fishkeeping interests. I'm also intrigued by your User Name - SalmonAfrica - would you care to elaborate? Any chance of some piccies of your Catfish? I have a Red Lizard (L010a) and s/he is an intriguing character! Hi Tim, and welcome to the forum. I'm looking forward to seeing lots more pics and hearing about your breeding projects. Love the pics. The Jewel looks particularly nice.